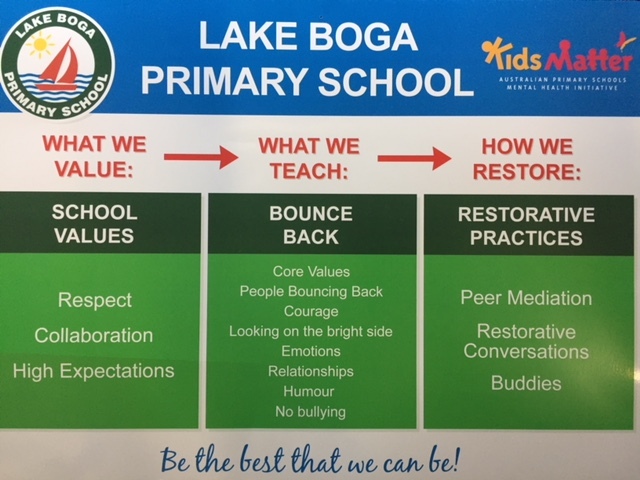 MISSION: Lake Boga Educational Hub believes in building an inclusive learning community where we strive to be the best that we can be. We work together to continuously improve and ensure that we achieve high quality educational outcomes through authentic learning opportunities. VISION: To develop lifelong learners who strive for excellence in teaching and learning. – High Expectations – high expectations leadership, high expectations teaching and high expectations learning.